Arpaio likely to appeal based on denial of a jury trial and refusal of judge to recuse himself for bias. On Monday, U.S. District Court Judge Susan Bolton found former Sheriff Joe Arpaio guilty of criminal contempt. This was related to the Maricopa County, Arizona, sheriff’s efforts to enforce laws against illegal immigration. He will be sentenced in October for the misdemeanor. She had denied his request for a jury trial. This is odd since it was a criminal charge. Left-wing activists have been targeting Arpaio through the legal system. They are unhappy with his efforts to reduce illegal immigration. He began them in the mid-2000s. He helped pass four ballot measures targeting illegal immigration in 2006. At the same time, he started arresting illegal immigrants under Arizona’s felony human smuggling law. They “conspired to smuggle themselves,” he said. In 2008, activists filed a lawsuit against Arpaio, Melendres v. Arpaio. They charged him with racial profiling. 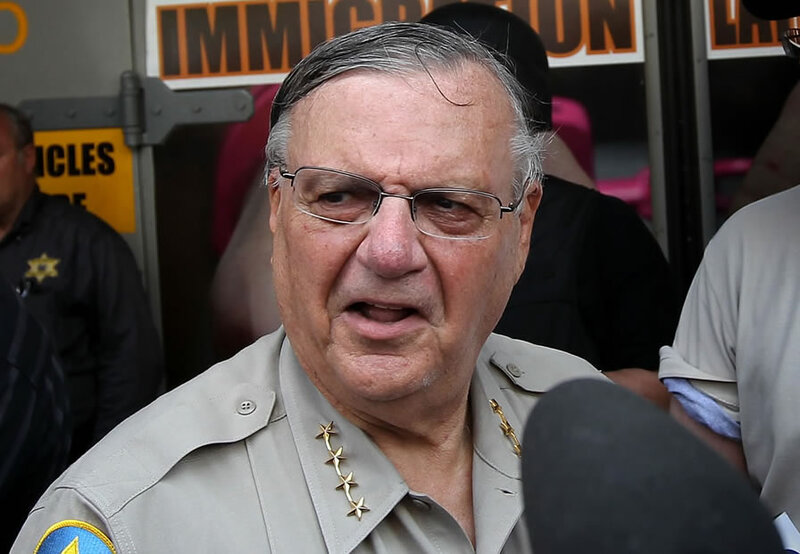 U.S. District Court Judge Murray Snow told Arpaio to stop racially profiling illegal immigrants at the sheriff’s office. He was charged with criminal contempt when he supposedly did not do so. Arpaio asked Snow repeatedly to recuse himself from the case due to bias. Snow refused. In 2013, a woman told Arpaio over Facebook that she overheard Judge Snow’s wife saying that Snow hated Arpaio and didn’t want him to be re-elected. Snow said he wanted to make Arpaio pay personally out of his own pocket.. The American Bar Association has an ethical rule that discusses when a judge should recuse him or herself due to their spouse. It mentions a spouse’s bias or involvement four times. Arpaio apologized for racial profiling. He donated money to an Hispanic civil rights group. He admitted that he committed civil contempt of court for not complying. This wasn’t enough for Snow. He said he wanted to make Arpaio pay personally out of his own pocket. Arpaio is 84 years old. Any appeal could go on for years. Illegal immigrants are more likely to commit traffic infractions than the general population. As a result of Melendres, the DOJ began probing Arpaio for racial profiling in 2008 under Obama. Arizona has a large number of illegal immigrants. They commit crimes at a higher rate than the general public. For example, in 2007, illegal immigrants made up nine percent of the adult population in Maricopa County. Yet they received 20 percent of all felony DUIs. They are more likely to commit traffic infractions. A large number of them have not learned U.S. traffic laws. They have less money, so are more likely to have something wrong with their cars. This prompts the police to pull them over. Arpaio lost reelection last year in part due to the bad publicity. He also lost in part because left-wing billionaire George Soros poured $2.3 million into the election to defeat him. Arpaio is expected to appeal the conviction. He will likely cite Snow’s refusal to recuse himself and Bolton’s refusal to provide him with a jury trial as grounds for reversal. Rachel Alexander briefly represented Sheriff Arpaio as one of his attorneys in 2010. Follow Rachel on Twitter at Rach_IC. This is the punishment the Left drags good people’s names through the mud and some Leftist judge denies an American citizen the right to a jury trial. Can anyone say “kangaroo court?” Then the appeals process drags on for years draining the victim, in this case, Joe Arpaio, of his retirement savings, his health and the enjoyment of his golden years. Ultimately Mr Arpaio will leave this earth. It remains for our judicial system to see that this man gets his day in court to clear his name. But I’m not holding my breath. The left marches on, crushing good people under its Satanic boot. We knew it would. Since America excludes YHWH as Lord, little gods in black robes will rule. I’m weary of seeing conservatives holding up Sheriff Joe as an example of a great politician. I lived in Maricopa County, AZ (his jurisdiction) from 1982-2013. I watched Arpaio begin as a tough-guy with some great ideas. And I watched him morph into a corrupt politician surrounded by yes-men. That’s the reason why voters kicked him out of office. Republicans used to get rid of their politicians who turned bad, making them distinct from Democrats, who lionize & cheer for the most evil ones. I have seen and read on the news for many years how tough and strict this sheriff is and was! Sadly by my own stupidity, I was convicted of a crime 🙁 but I strongly agree if you do the crime you do the time! In his case being denied a jury trial? What kind of crap is that? Ben like I’ve read in other posts he’s going to lose his retirement, Healthcare, ECT! They took a good man, and throw him under the bus! This is the world we live in, sadly! Personally I think this is something that Donald Trump our president of the United States should be involved in or look in to! Have a wonderful and nice day my fellow Patriots! I can’t remember the entire story with this left wing loon judge and his wife but what I do remember is that they have been after Sheriff Joe for years. I know in the position Trump is in now, it’s difficult to help him directly as it would be considered a conflict, however Sheriff Joe defended him all the way through and Trump never helped him during the primaries. The man is 80 something years old and is being railroaded. For all this man has done in Maricopa County, it is also shameful that the citizens who voted for him time and time again aren’t there to help. We have been on tours of Tent city and it’s outstanding. He saved the county millions each year with his programs. He helps young kids and the prisoners work daily and have rules. The loon of a sheriff they have now is another socialist moron. Arizona, you are letting your state go for sh–! Wake up. And quit sending us McCains Flakes etc.